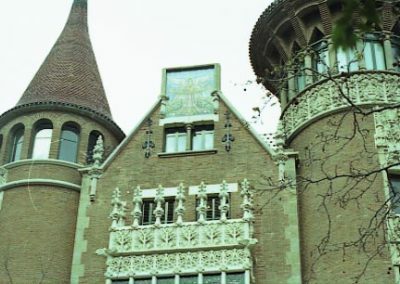 Visits: Private owned house, visits are not allowed. 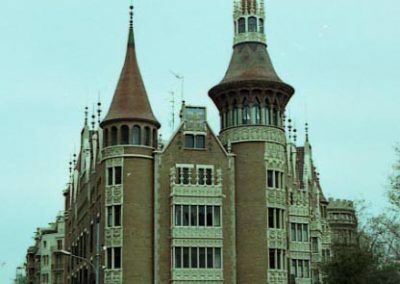 Built in 1905, this is the most delightful building of the modern area of Barcelona, named also Casa Terrades. 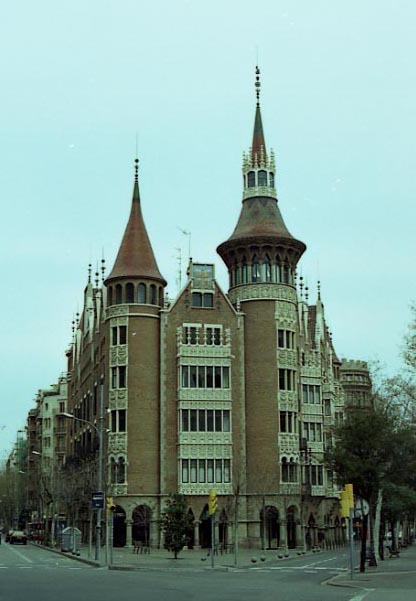 Designing that building with some medieval appearance, the architect Puig i Cadafach was influenced by Nordic style. 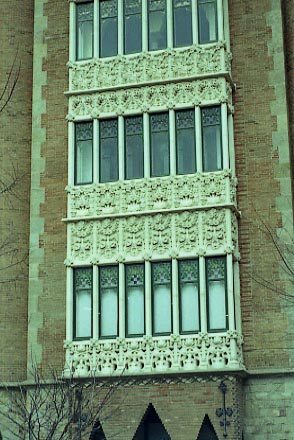 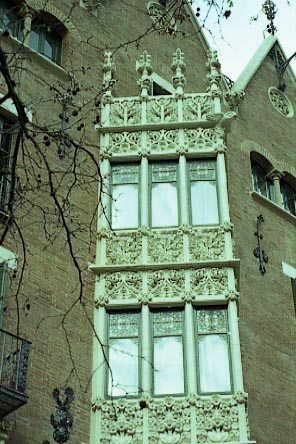 The façade was made in brick, and the ornaments around the windows and doors in stone. 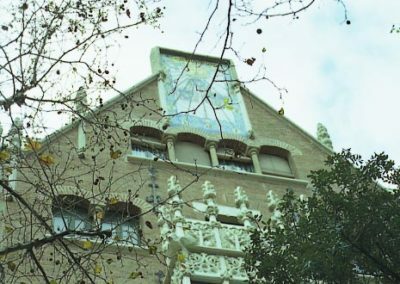 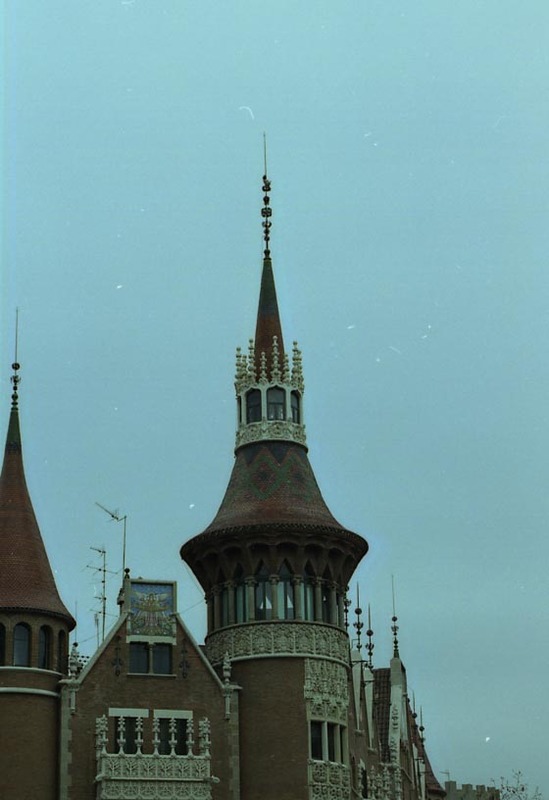 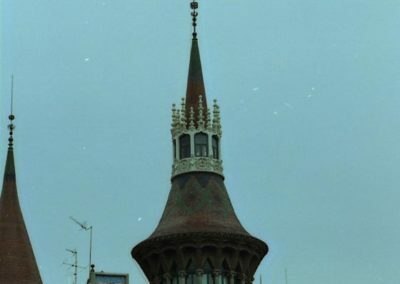 The big panels at the roof level were made in decorated ceramics, showing a sun clock and other national Catalan elements. 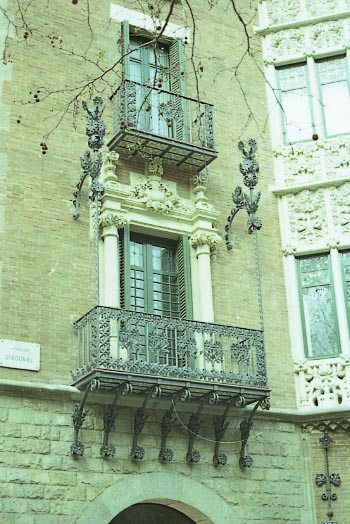 Following Permanyer, some of the artists working with the architect were: Alfons Juyol for the sculptures in stone, Eudald Amigó for glasses, Enric Monserda for inside ornamentation and Manuel Ballarin for the forged iron.